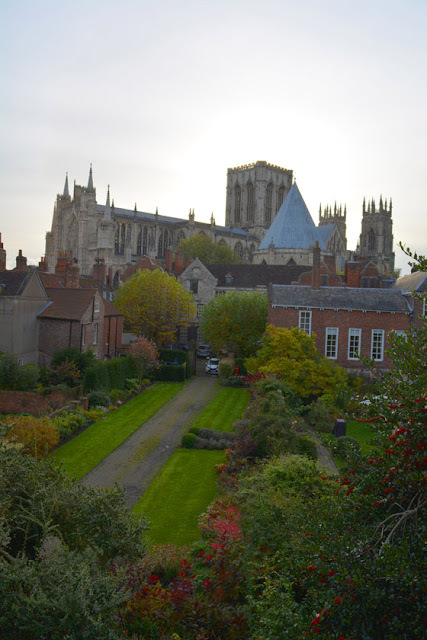 What a gem of a city. For those of us who love everything English, this place has it all. 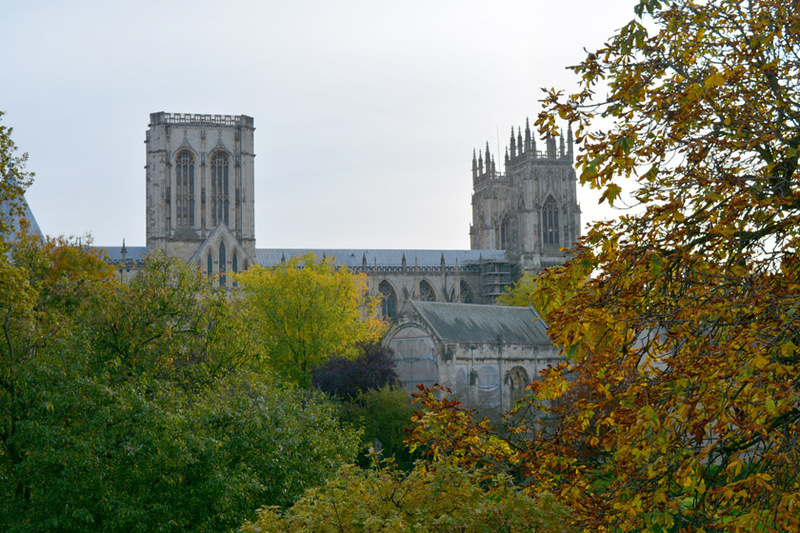 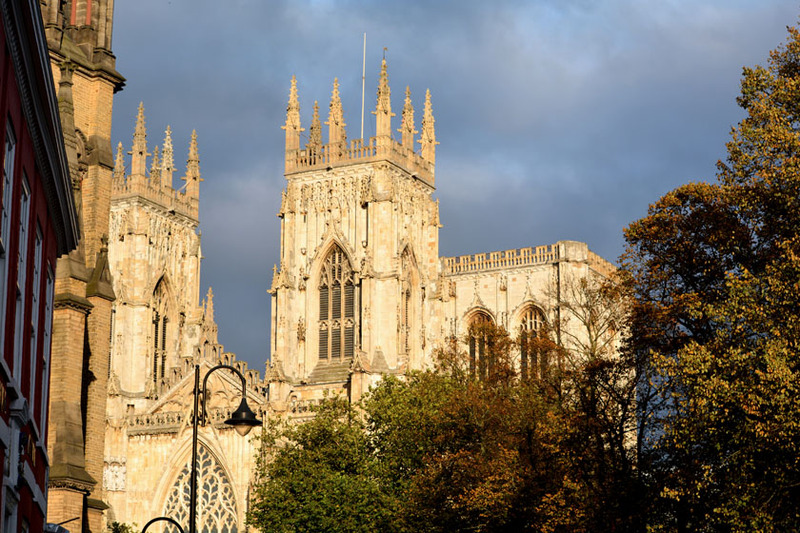 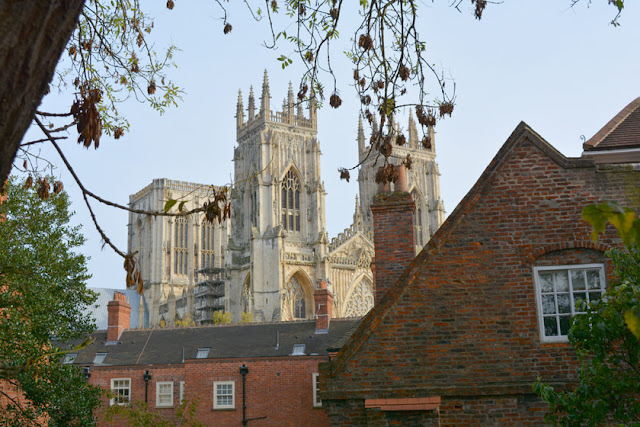 For starters, there's the York Minster, regal and covered with history on every surface, inside and out. 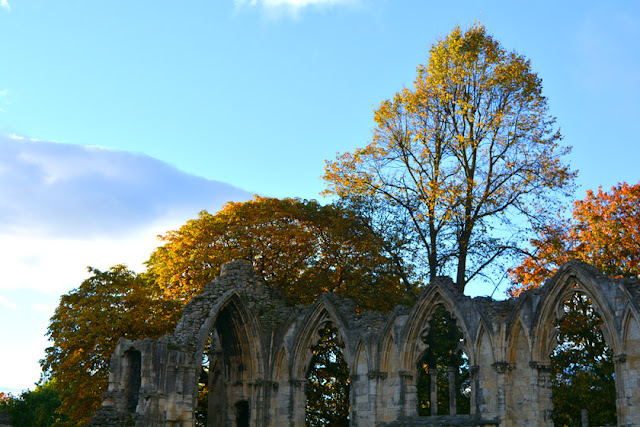 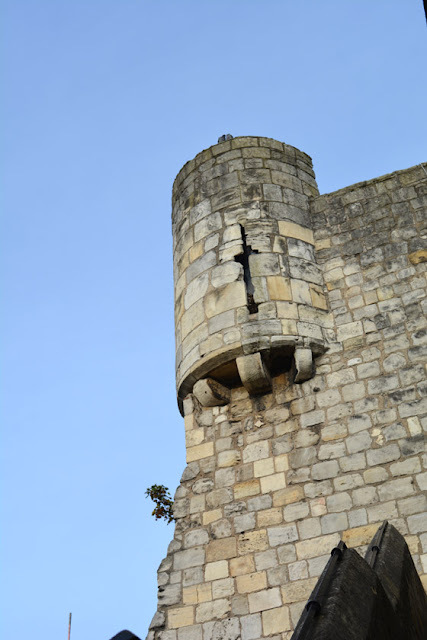 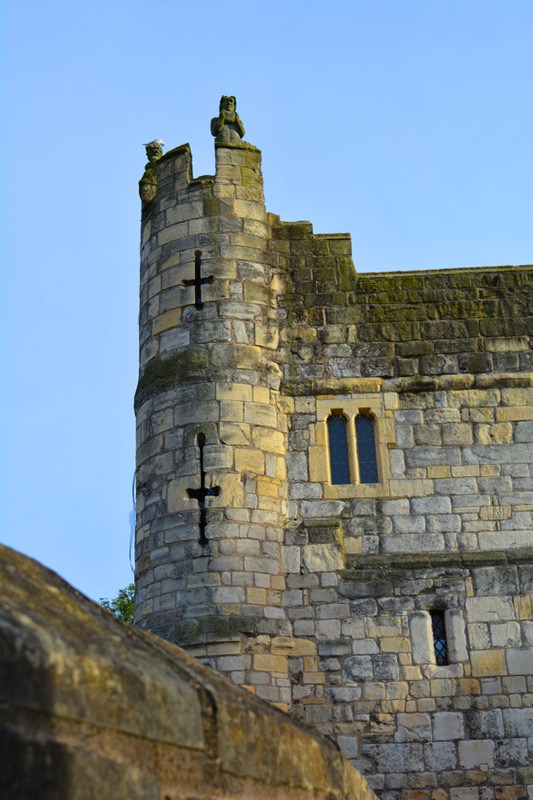 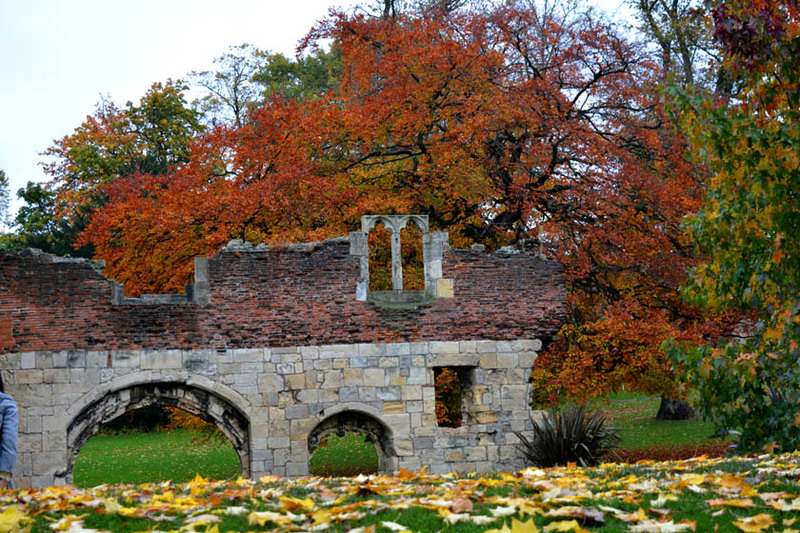 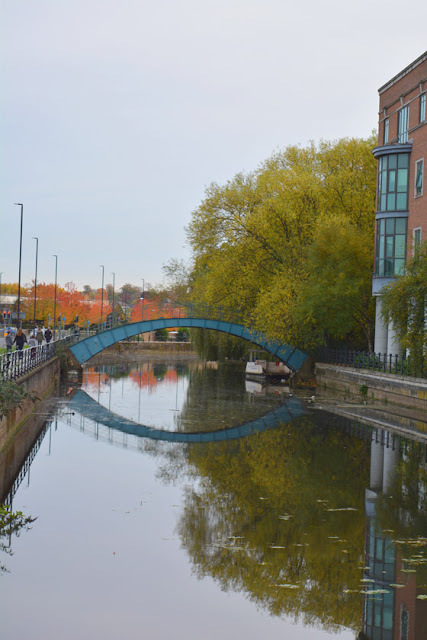 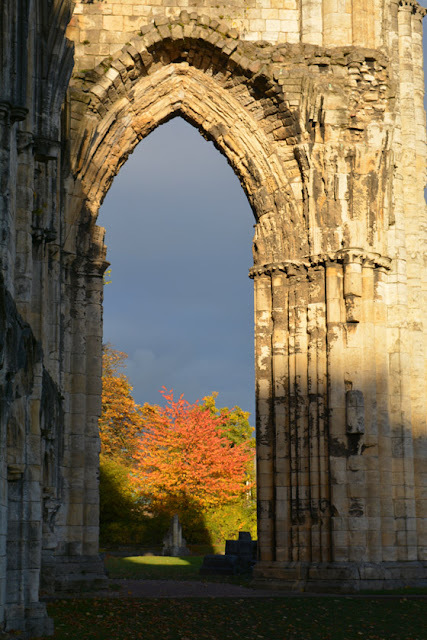 Everything in York made us fall more and more in love with England. 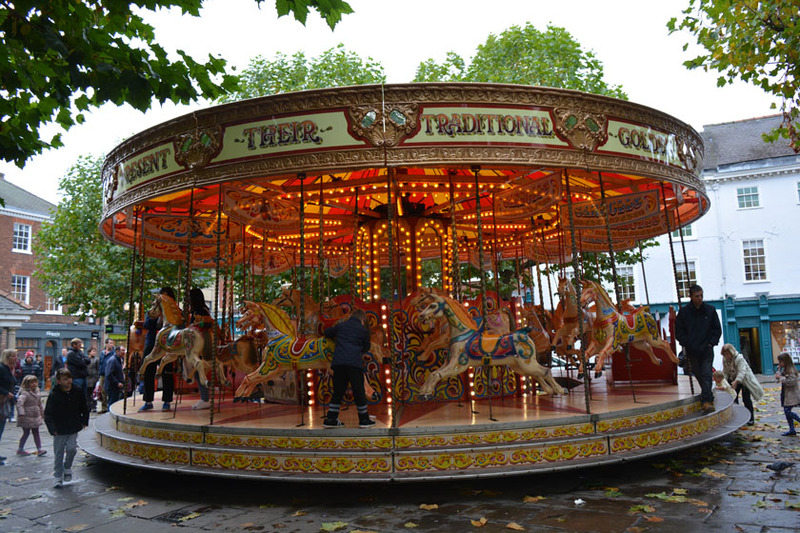 And last but definitely not least, it's a place that can make you feel like Mary Poppins is right at your elbow. 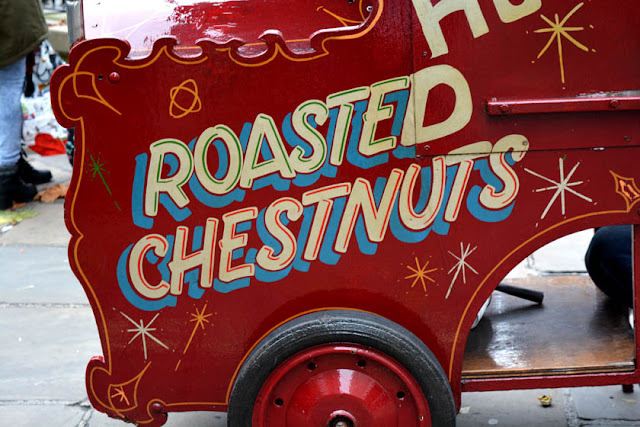 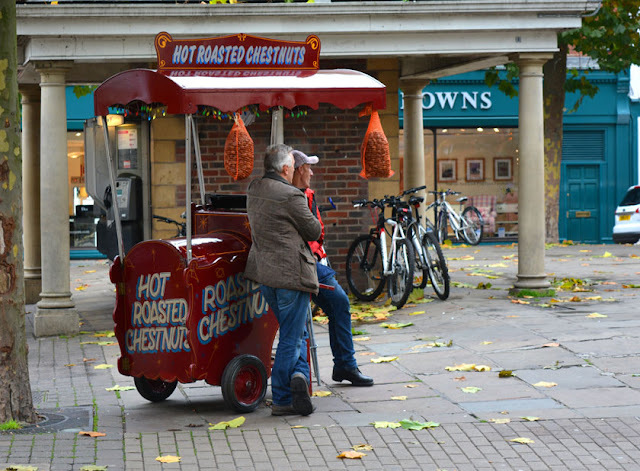 Look at these two, selling roasted chestnuts between the merry-go-round and the bike rentals downtown. 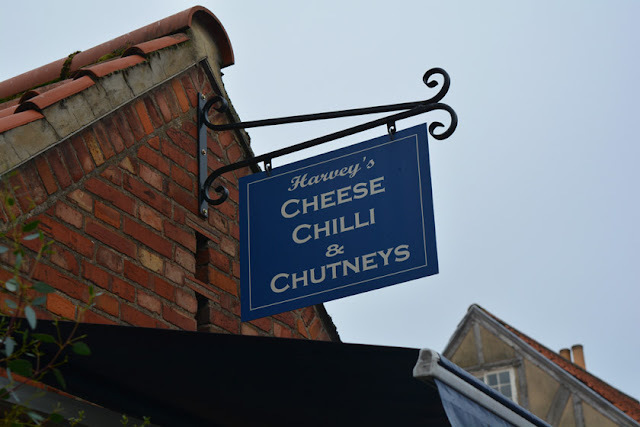 Even the signs are charming... Really, where else would you find a shop whose specialties are cheese, chilli and chutneys? 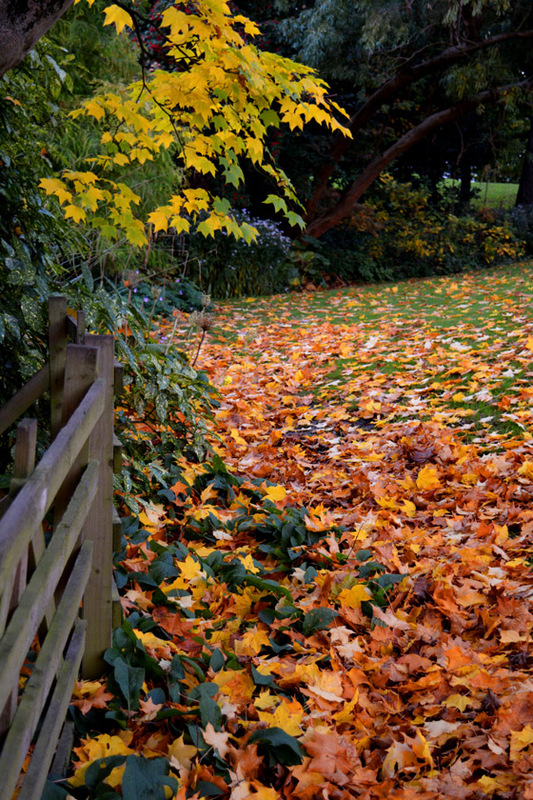 Peeking over the wall, you glimpse verdant gardens and glassy Victorian greenhouses, the spires of the Minster, and homes with laundry flapping in the autumn breeze. 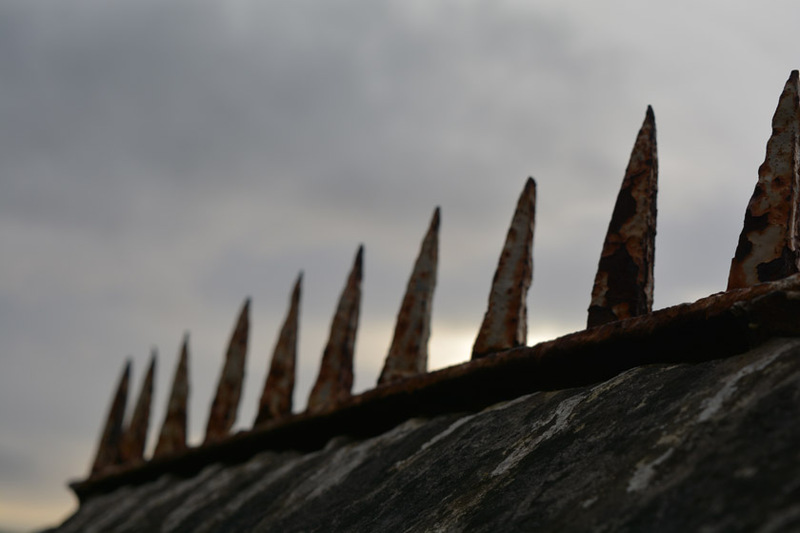 Even medieval spikes to protect against intruders. 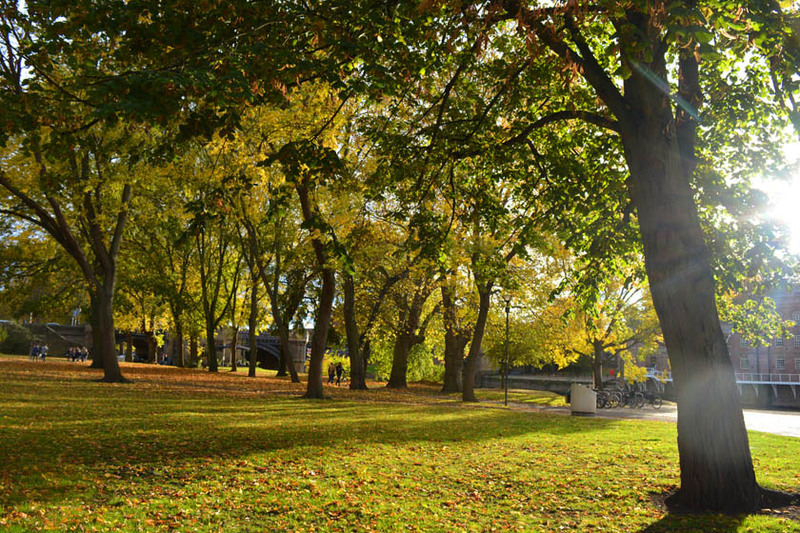 After all that walking, sketching, and braving the whistling wind, it was time to rendezvous with my dear friend, Jane. 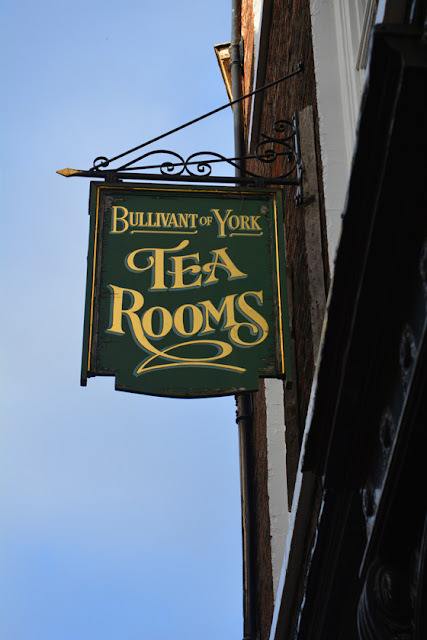 It was time for a proper brew.